If Google Webmaster Tools (GWT) Link data is worthy enough for a for having a successful link cleanup is not relatively new topic in the SEO industry. To understand the point in a better way it is essential to go into the background of the topic. From various discussions and debates held on the topic last year it emerged that it was enough if one used the GWT data. Another point that came into focus was that the links which went missing from the report were not significant enough. Later it was also added that using the third party tool was not necessarily a bad idea, as by using the same a greater ability to process the link data can be achieved and it becomes relatively easy to look out for problematic areas. These problematic areas might include issues as spammy patterns and anchor text abuse issues. Since the introduction of Manual Action sections, the debate over GWT data reliability has been re ignited and this at times shows webmaster offending links which were earlier not a part of the GWT link report. Google’s Manual Action Page examples have been used to give one an idea of the type of links that have been used in breach of the guidelines. This can be perceived as an educational device that helps one recognize bad devices as one sees them. It has happened that on more than one occasions the Google’s search quality team has been able to lift the manual penalty for various websites that have shown great progress in the cleanup program. The best course of action to follow is to document the link cleanup process and give genuine results to the Google’s web spam team when one thinks of filing the reconsideration report. Even if one or two links are missing from sample link report, this would not be a problem for the Google web spam team. The real challenge that still persists is the issue of link data for large websites. Efforts are always on to bullet proofing big websites so as to ensure that links remain clean all the while. It emerges from all the research conducted that the sample of links that Google provides is less in proportion to the true link profile of the gigantic task at hand. The need of the hour is to scale the amount of links present in the Google Webmaster tools and to make them in line with the real size of that particular website’s link profile to ensure that enough data for working on is available. However, despite all these assumptions one might consider that links within webmaster tools are not sufficient. It can be safely said that links within webmaster tools are sufficient enough as now Google has dumped much of three quarters of link profile as is evident from the latest link report that has come in Google webmaster tools. However this link cut by Google does not seem to be intentional. It is more likely due to presence of a bug in Google Webmaster Tools rather than link cut that has been done intentionally. 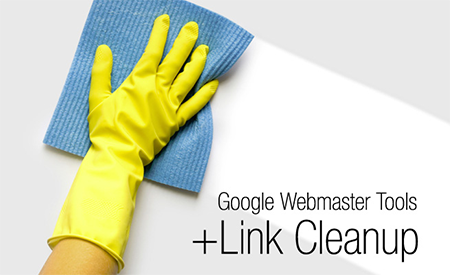 Another relevant question that arises here is if using Google Webmaster tools for link clean up is enough. It emerged that finding all the links that one needs for algorithmic reasons or webspam are available in webmaster tools. Ant third party or external tool is therefore not required for the same. However an interesting fact that has come to notice is that Google does ignore some links even at times when the website is not being penalized. One this that definitely can be done is Link Cleanup. One needs to identify suspicious or shady links through GWT and look for some usual suspects that can come in form of article, comments, forums, directory or comments. One might need to dwell a further deep and if it is found that GWT is not solving the problem. In such cases alternate tools as Majestic SEO and moz can be used. Specifically one needs to look for anchor text over optimization and other related aspects. One should also be looking for grey areas and removing anything suspicious that one might find. You can also consider flagging low level links focusing much attention to those that come with commercialized key phrases. Links within Google Webmaster tools may be enough considering the kind of scenario in which one might be operating. Follow the above listed cleanup tips regularly and is safe. Will Google Really Devalue Links from Infographics?